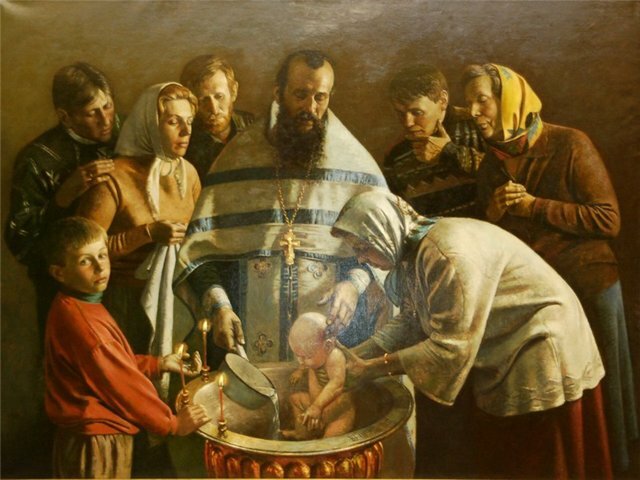 The sacrament of baptism is the most important rite in the life of any Christian. Before baptism you must choose the godfather and mother and tell them about it in written or oral form. Godparents are spiritual mentors of the childand they should support the child and be with him forever. How to choose godparents for the child? Godparents should be people of faith. The main duty of the godparents to guide her godson's life, teaching spirituality, going to Church and pray for him. For parents child godparents have to be very close friends. It should not just be relatives or close friends, godparents are people whom you can trust your baby. They are for a child's second parents. Not being able to pick godparents people who lead an unrighteous life. Ie those who suffer from drug addiction and alcoholism. It is not necessary to invite godparents mother's loose women. Think, because these people will be from infancy to show the child a bad example and not teaching spirituality. Ideally, the child must be two of the godfather – the godfather and the godmother. But if you don't have people on whom you can entrust such a big responsibility, you can do one of the cross parent for girls – female, boy - men. It is impossible to call the cross a pregnant woman, it is believed that it can reduce the life of the child. It is not recommended to take the godparents and the couple as godparents after the ceremony will be connected by spiritual kinship, which does not imply an intimate relationship. According to folk omens, unmarried girl should be the first to baptize the boy, otherwise it can cause major problems in his personal life. Also if you follow the signs, the name of the cross should match the name of the godson. And most importantly, the godparents must fulfil their responsibilities. After all, there are many more than you imagine. Godparents are not only those people who give gifts and occasionally playing with the baby. Godparents should always maintain friendly relations with parents of his godson, teaching him the prayers, to teach him of love, morality, and goodness. It is believed that if asked to become a godfather, it is impossible to deny. So to start unobtrusively ask your candidates if they would like to become godparents for your child, and if they can carry out their duties. And then make the final decision. How to choose a godmother and godfather. Oddly enough, many moms and dads prefer not to wrestle with the answer, so I propose to take the responsibility to become the second parents work colleagues or, even, their own bosses. Not surprisingly, in most cases, the use of such godparents to the child zero.